Glenn "Bud" Stanton grew up in Visalia and has provided outstanding legal services to this community for three decades. He is a graduate of the University of California at Santa Barbara, (B.A., 1972) and Pepperdine University School of Law (J.D., 1976). 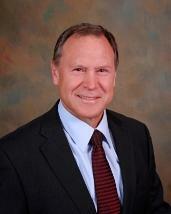 Mr. Stanton has a history of providing excellent guidance and counsel to his clients. Mr. Stanton's practice focuses on real estate matters (including sales and acquisitions, landlord-tenant, and owner's association matters), formation of corporations, partnerships, LLC's, and issues relating to their operations. He also vigorously litigates business, real property, and estate matters. Mr. Stanton has consistently demonstrated negotiating skills that allow him to successfully conclude difficult real property or business transactions and obtain favorable settlements for his litigation clients. He is past president of Tulare County Bar Association, The Visalia Chamber of Commerce, Arts Visalia and other organizations. Don Celillo Electric Co., Inc.